So pretty, and Yay for Color Catchers! Do you use the 50wt for quilting as well as piecing? I've had relatively minor breaking issues with the 50wt when used for quilting, and wonder how yours holds up (on other quilts I mean). I do use the 50wt for both and it's always worked fine for me. 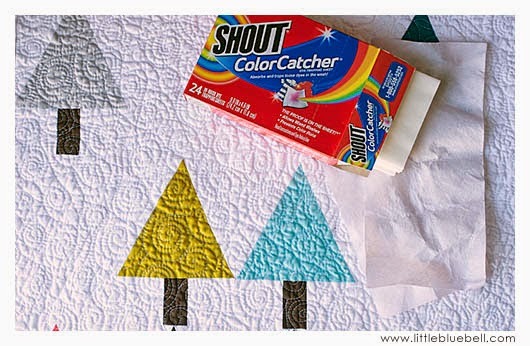 Do you notice the thread breaking during the quilting process or during use of the quilts? It's absolutely gorgeous, Adrianne. The quilting makes it even better! I can't wait to make one of these for myself!! Love it!!! I love the white with pops of color! Its charming! I adore it! Beautiful and lovely swirl quilting! 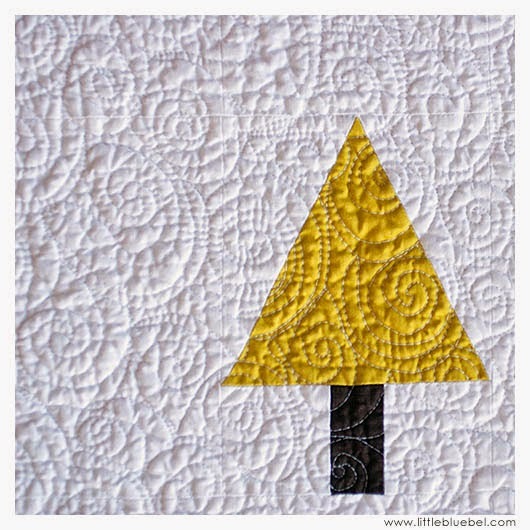 Love this so much and the quilting is wonderful! Love the simplicity and elegance! Great job! 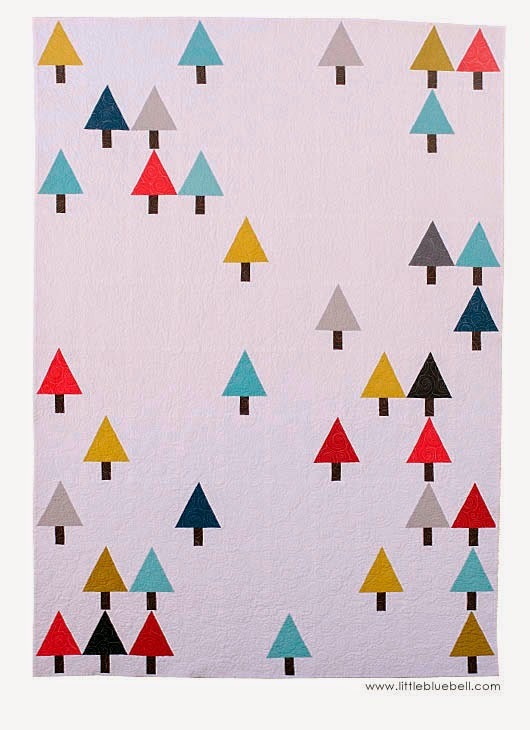 I really like this quilt design - the space and the coloured trees - adorable. The quilting is also terriric. Hope to buy your pattern and make one of these myself someday but my list is so very long right now I don't see that happening any time soon.